Web Designer is unlike any web design software you will have seen before; an easy template based solution that gives you total page design freedom, no HTML skills required. It comes in 2 versions, Web Designer and Web Designer Premium; Premium offers advanced web and graphic design features - find out more below! Traditional web authoring tools are really just HTML editors, originally designed to create text layouts, providing few graphical capabilities. Yet it's evident that the majority of modern websites are of a graphical nature. We believe you should have complete freedom to include anything - text, graphics, photos - anywhere on the page, using just one tool. And you shouldn't need to know, or even see, the HTML that goes into creating your site, any more than a car driver needs to know how an engine works. Read on to find out more about Web Designer. It includes all the tools you need for designing your pages, even including illustration tools and photo editing (an integrated ultra-fast, non-destructive photo tool), and for advanced text layout. Web Designer's Online Content Catalog (provided as part of the Update Service) includes customizable web graphic, webpage and website template designs, plus a collection of Widgets and a huge collection of royalty free, high quality photos from Pixabay. 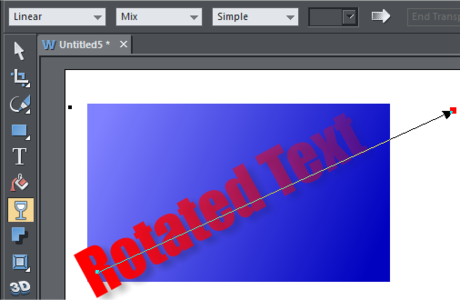 Liquid text flow around objects; easy mouseover, thumbnail and pop-up creation; automatic adjustment of photos to the correct web resolution; one-click change of site wide theme colors and shades; automatic color matching of imported objects such as buttons; a concept of 'repeating objects' such as headings and button bars - edit one instance and they all update; buttons and text panels that automatically stretch as you change the text; smart automatic repositioning of objects and resizing of pages as you add new text; font embedding which frees you from the restriction of 'web safe' fonts. Working with industry standards is vital, so Web Designer sites are W3C compliant, cross browser compatible (IE 8+, Firefox, Safari, Chrome) and XHTML, CSS standards based. It can also import a huge range of files types for vector graphics, image and text including PDF, RTF, RAW, PSD, SVG, TIFF and of course JPEG, PNG, GIF. Premium offers some extra import formats (ODP, PPTX) and can also export presentations to PPTX (beta). Websites made with Web Designer are ready for the latest iOS and Android smartphones and tablets. We‘ve invested significant effort in esuring that all our templates and features work with mobile devices. Together with our embedded HTML 5 player technology for video and audio integration this means that you can create state of the art website projects which work across all platforms and browsers with minimum effort. Sites created in Web Designer are also touchscreen compatible. Web Designer also offers a responsive web design feature (see below). Xara Cloud offers an ultra-simple way to view, edit and update the text or images of your Xara website using a web browser on any computer or tablet (yes even a Mac or Android tablet! ), from anywhere in the world, and to re-publish the website. Perfect for collaborative editing, for commercial designers who want to give clients editing access, or for anyone who needs to edit their site remotely. 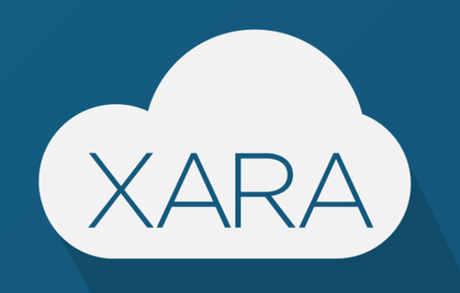 Web Designer benefits from seamless integration with Xara Cloud, making it a great additional service. You can find out more & register here. We know that many of you find it frustrating to have to wait a whole year for our next update - knowing that we are working on (and likely finished) new cutting edge features and content. We have the answer! Under our Update Service you'll not only get the latest version when you purchase, but you’ll also have access to new features and content as we develop them, at any time during the 365 days after you purchase! Pick your page design from the templates in our Online Content Catalog (provided as part of the Update Service), all created by professional designers so that quality is guaranteed. There are pre-built, ready linked multi-page sites, or you can build your own site from the page layouts offered in co-ordinated theme sets. We've got all the layouts you need (eg home, products, photo gallery, news, store etc). 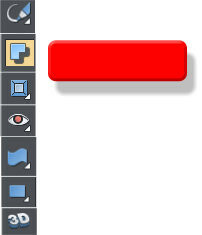 Use simple drag and drop to position things on the page as you wish; enter your text (spell checker included); add any new items such as text panels, headings or extra buttons from the templates in the Online Content Catalog, or import your own, or create new images with the drawing tools; set up links on your NavBars and menus; drag and drop your own photos (photo editor included if you need to crop or adjust brightness, contrast etc); customize colors with the simple one-click theme color editing. For extra impact, adding mouseover effects, thumbnails and photo pop-ups & slideshows is simple. What's more the Online Content Catalog (provided as part of the Update Service) includes a collection of popular widgets that can be added to the page you're working on (find out more in our Widget Guide). 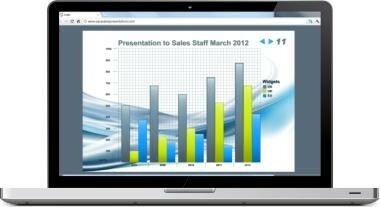 Note: Premium has a larger selection of widgets including photo and content slideshow widgets, interactive chart and graph widgets, and e-commerce widgets such as Paypal. Note: The integrated audio and video players use the HTML 5 capabilities of the web browser to play the audio or video where the browser supports it eg latest smartphones or tablets. Otherwise it falls back to Flash. Check your design in the browser preview and then simply click on Publish. All you need to do is enter your regular FTP upload details. 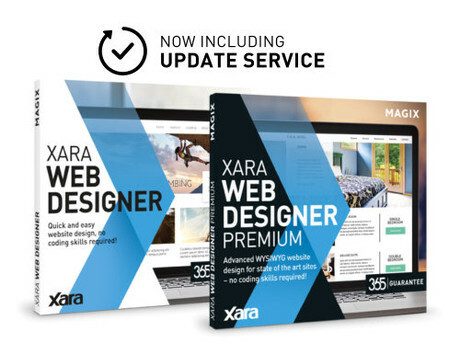 Or in the case of Web Designer Premium you can take advantage of the free one year 'M Hosting' from Xara Online (includes 2 GB of web space) which offers ultra-simple upload. Now you have a great looking site and you’ll want to get the word out! 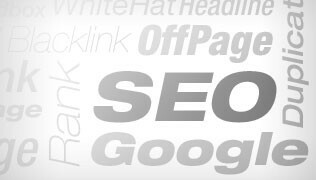 Web Designer helps you achieve search engine success by making it easy to add the essential titles, descriptions and keywords, by site or by page. Advanced users can add HTML code to the body field, and in Premium you can also add HTML to the head field, automatically create XML sitemaps and easily embed Google Analytics web analysis tool to measure your success. With Web Designer you can create multiple variants of a site - eg desktop, tablet, mobile - which are exported as a single HTML file, so that your site will dynamically change layout in response to the screen size of the viewer. Does your website pass the Google mobile-friendly test? If not, you need Web Designer! The Online Content Catalog (provided as part of the Update Service) also includes template designs for individual graphics, from buttons, NavBars and headings to text boxes and speech bubbles! Again they are all created by professional designers and can be customized to fit your site in seconds. These individual graphics can be exported in the standard web formats such as GIF, JPEG, PNG for use on existing websites, or they can be added to any page being created in Web Designer. See some more examples of the templates. The Online Content Catalog also gives you direct access to a huge selection of royalty-free stock photos and illustrations from Pixabay. If you don't find a template to fit the bill, no problem, Web Designer includes comprehensive, intuitive and powerful drawing tools from our award winning illustration software Xara Designer. So you can create your own graphics from scratch and either add them to the page being created in Web Designer or export them as JPEG, PNGs or GIFs. Design website prototypes with unrivalled freedom, no HTML skills required. For designers, Web Designer offers unparalleled design freedom. It's perhaps the fastest website prototyping tool around, even for websites created from scratch. As a designer you don't need to know anything about HTML, but you'll have complete freedom to design websites as simple or as complex as you need, with an actual working HTML result, rather than just a 'fake' static mock-up. You don't need to compromise your design just because this is a webpage. Web Designer supports transparency, even grad transparency (for graphics, photos and text); it has full, automatic alpha channel support for things like soft shadows, anti-aliasing and semi-transparent objects; and if you include things not supported by HTML (let's say rotated text) it automatically converts them to optimized web graphics. The Premium version of Web Designer offers plenty of extra features for the pro user. We're all used to the idea of websites presented as separate pages, where you have to click a link to navigate from one page to another. Web Designer Premium offers the option to present your whole site as one single, fast scrolling document using scroll or swipe to navigate. Or you can present one page at a time in the traditional way, but with super-slick animated page transitions triggered by scroll, swipe or click. Web Designer Premium makes it easy to add a wide range of animated effects to the layers and page links in your website. You can add animated transitions to any page link or pop-up layer in your web pages. Perfect with Supersites and presentations! These are objects that you can 'stick' in place as the page scrolls underneath. A good example is the NavBar which you can stick to the top of the page as viewers scroll down, so they can still easily navigate to other pages without having to scroll back up to the top. 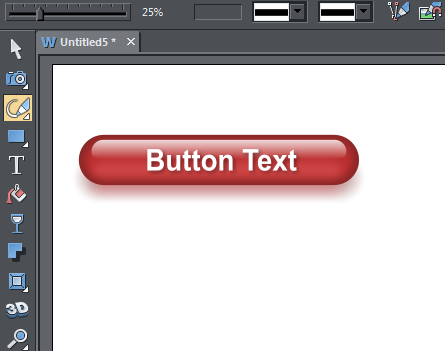 In Web Designer Premium any object can be stuck to any position on the page. Website designs with no obvious page boundary are now very popular, and in these sort of designs you'll commonly see a page background that covers the entire browser window and stretches to fill the browser width. In Web Designer Premium you can make any rectangle or image stretch to fill the browser window, either horizontally or vertically. Web Designer Premium includes a larger selection of Widgets in the Online Content Catalog (provided as part of the Update Service), including resizeable photo slideshow Widgets to make your site more dynamic, plus a selection of interactive chart and graph widgets. Premium also includes a choice of e-commerce Widgets and a neat 'embed a website' Widget - perfect for embedding blogs, microsites and other sites within your page. With Web Designer Premium you can easily create web-based 'slide-show' style presentations, that your website visitors can step through using the keyboard arrow keys. Plus you can apply animated transition effects as each step and page is displayed. Web Designer Premium is one of the easiest tools for creating truly efficient Flash animations, which you can export as .swf or add to any page being created in Web Designer. 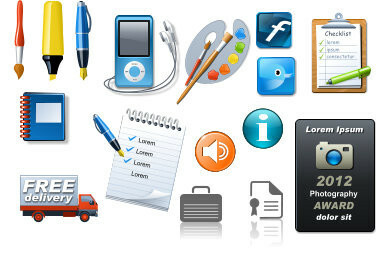 Web Designer includes many customizable graphic templates of course, and a good set of basic drawing tools, but Premium includes a range of additional graphic creation tools for those who wish to create their own graphics from scratch. These include freehand and quickshape drawing tools, bevel, mould and 3D extrude. Premium includes other extra features for power users, such as support for Retina graphics, embedded fonts (so you aren't just limited to the so called 'web safe' fonts) and direct integration of Google Fonts. There is also a 64 bit version giving maximum performance for large, content rich sites. You can find out more about the extra features in Premium here.